Our core purpose is to prepare former trainees as Newly Qualified Teachers (NQTs) to become highly effective classroom teachers who will reflect on their own practice throughout their years as a teaching professional. It is our hope that all teachers having completed their ITT year will continue to find innovative and creative ways to communicate with learners and promote a love of learning. We seek to continue to support our NQTs with a wide range of teaching and learning strategies as well as the inter-personal skills required to motivate and inspire students. All NQTs will be invited to attend 7 free NQT Twilights training sessions. This will be hosted at a variety of different school settings to promote networking and develop NQTs inter school experiences. At the end of the course all SCITT trainees will attend a NQT day conference which links with future training needs. 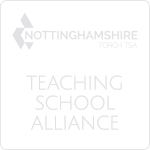 This links also to the work of the Multi Academy Trust (NOVA) and the Torch Teaching School career pathways program. Trainees continue to be able to access support/advice from the central SCITT team via email support, surveys and additional CPD materials. Former Trainees will be invited on occasions to support/mentor new trainees/interested graduates in developing their understanding of teaching/ITT and Subject Specific work. Course Tutors and Central SCITT team will QA the provision of in school NQT training wherever possible with support visits. All trainees will receive ‘transfer’ training plan documents and new employers will have access to trainee end of placement 2 reports/targets and ‘pen’ portraits. Such information will allow schools to best plan how to support NQTs within school based on pre-identified needs.